The Nordstrom Anniversary Sale has been in full swing for almost a week and I have spent a good chunk of time scouring the site for the best deals on new fall arrivals. In the fall, my wardrobe revolves around 5 staple pieces…riding boots, sweaters, plaid scarves, jackets and denim, so during the sale, I have been stocking up on these essentials to refresh my fall wardrobe. Below, I have rounded up some of my FAVORITE pieces from each category, making it easy for you to shop! Remember, the sale opens to the public on Friday at 12am so you can shop til you drop if you’ve been waiting! A lot of restocks will be happening at this time too, so keep checking back if you missed something you love so you are sure to snag it! 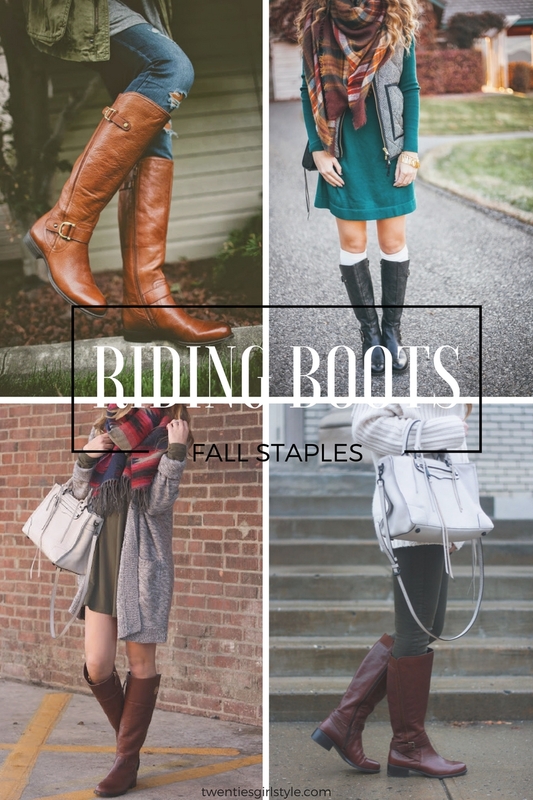 Who doesn’t love a good pair of riding boots? For the past few years, I’ve invested in a great pair each year that will take me through the fall and winter. My riding boots must be durable to withstand lots of wear and be comfortable because I wear them to work so frequently when it is cold out! Riding boots are one thing I will always splurge on because of how much I wear them. Last year I bought these and it was the best decision ever. I wore them SO much last year and they are still in amazing condition! I don’t really need a new pair this year, but these are currently sitting in my cart. Seriously, how perfect are they?! From pullovers to cardigans, you can find me wearing a sweater most fall days. 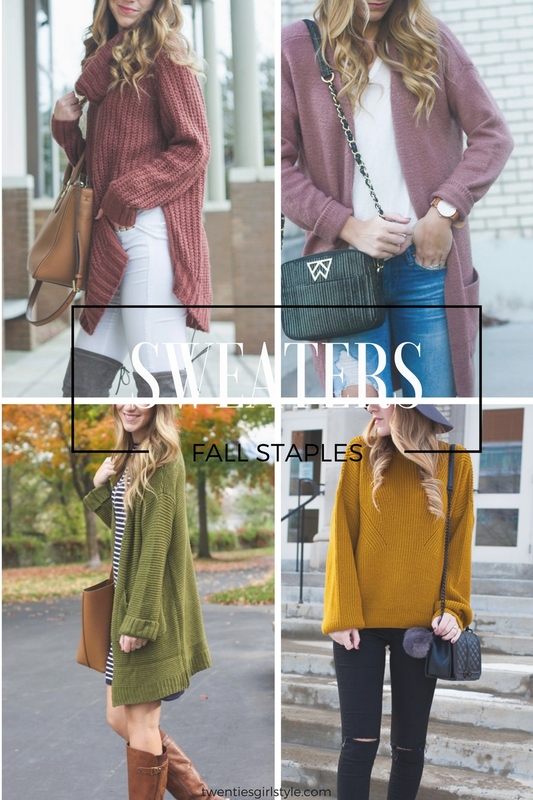 A sweater is often all I need in early fall, but I love that I can easily pile layers on under it as the seasons change and it gets even colder! There are so many sale options this year, especially ones with fun details like ruffles and bell sleeves! This is one of my favorite picks this year because it is unbelievably soft. I also picked up this one and it is great to wear now on those chillier summer evenings! There is no better way to stay nice and toasty in the fall than by pairing a scarf with your favorite tee and sweater! A scarf is also a great way to add a fun print or pop of color to your outfit. 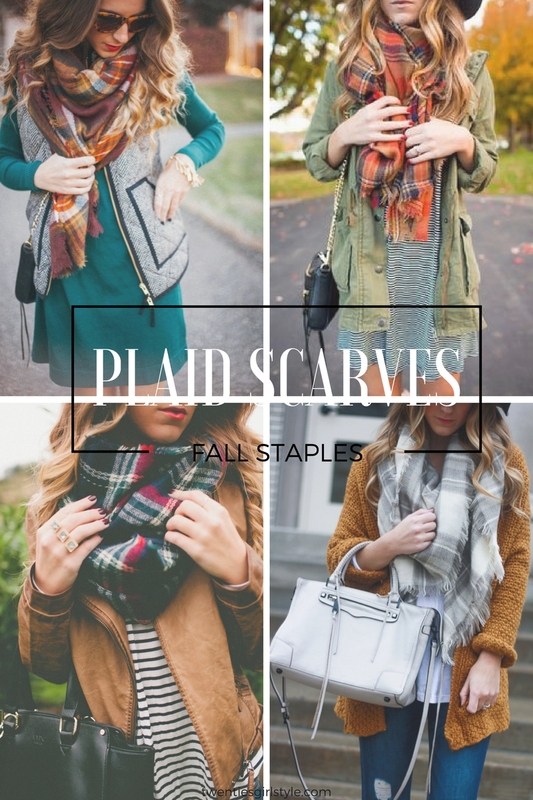 I live in comfy neutral pieces and a plaid scarf is just the thing I need to add a little interest to my look! I ordered this buffalo plaid option this year and it is so soft! You can’t beat the $16 price tag either! And this might not be plaid…but this leopard scarf is SO cute!! I’m not a fan of cold weather (despise is actually a better word to describe my feelings for the cold), as I get cold SO easily! In the fall and winter I feel like I have to pile on a million layers just to leave the house. 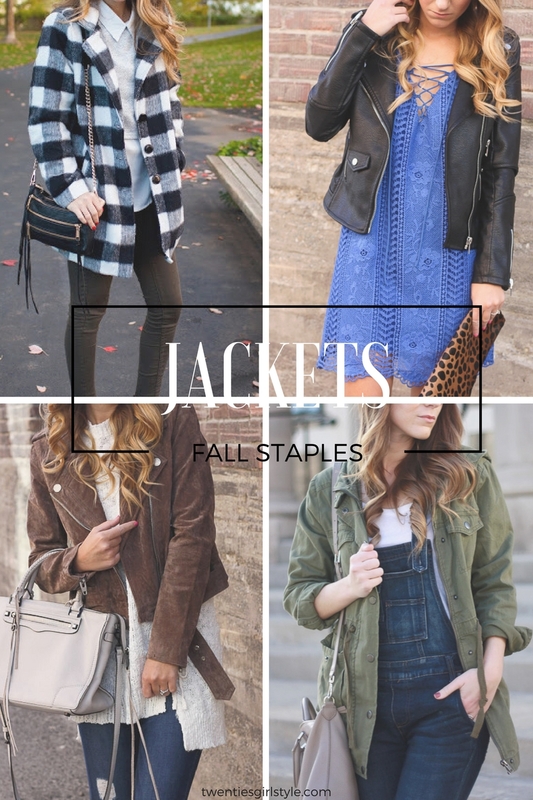 Layering up is much easier and more fun when you have cute jackets to layer up with! It definitely makes the cold weather more manageable and even a little enjoyable (I’m not going to lie…super excited to pull out a few of my jacket purchases this fall!). I bought this suede jacket last year, but the color options this year are to die for! I think I might cave and get another!! I also love this cargo jacket…one of my fall staples for sure! I know what you’re thinking…denim?! Denim is a year round staple in any girl’s wardrobe! BUT, this time of year I always start looking for a few great pairs to add to my wardrobe that I will wear all year long! The Anniversary Sale is a great time to stock up and save, and even get some of your fave designer denim at a discounted price! 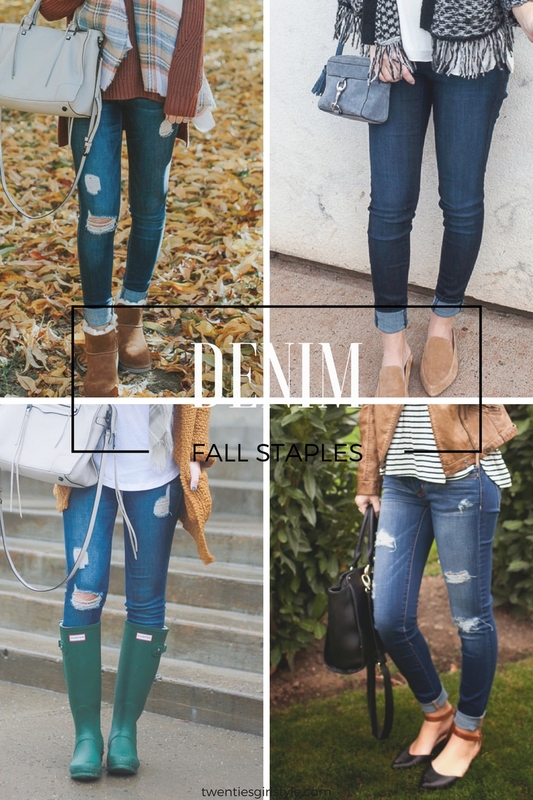 I love my distressed denim and those are honestly the pairs I am usually drawn to first, but a great pair of dark wash non-distressed jeans are a must as I can wear them to work! I splurged on this pair this year and love that I can wear them to work, but they still have a little distressing in the raw hem! These are my favorite pair purchased from the sale because the fit is AMAZING and they are under $60! Happy Monday! Did you enjoy your weekend? E and I went to dinner and a movie on Friday night. We saw Baby Driver and if you are looking for a good date night movie I highly recommend! E and I BOTH really enjoyed it. It definitely kept me on the edge of my seat the entire time! Saturday was a pretty chill day spent around the house. Sunday, E and I headed up to the lake for a day date where we ate the most delicious pizza and played a round of mini golf. I have to say I am enjoying every minute of my summer vacation! 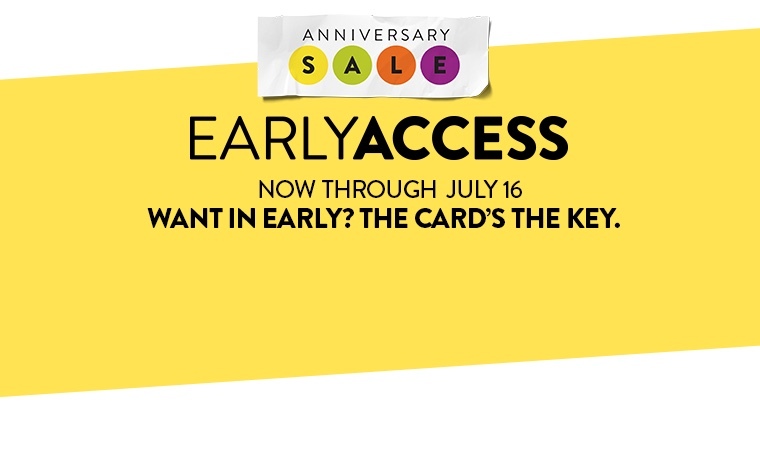 On another note, have you been shopping the Nordstrom Anniversary Sale?! I have placed a few orders and am still waiting on the rest of my packages to arrive so I can share a review of my purchases. In the meantime, check out some of my sale favorites and top selling must have items. One of my favorite sale purchases thus far has to be this little slip dress. I got it late Friday and even though I was already dressed for date night, I had to change JUST so I could wear this sweet little number. At under $35 this is a versatile piece to have in your wardrobe as it will transition perfectly into the colder months. I can definitely see this being one of my go to work dresses because it is so easy to layer! This dress is under $35 and has adjustable straps! I wore it for date night with a denim jacket tied around my waist (needed this for the chilly movie theater!) and my favorite slides. When the weather gets cooler, I will layer it up with a scarf, cardi and booties (as pictured below – all items from Nsale! ), and in the winter, I could easily see myself pairing this with leggings and riding boots! It’s the most wonderful time of year!! 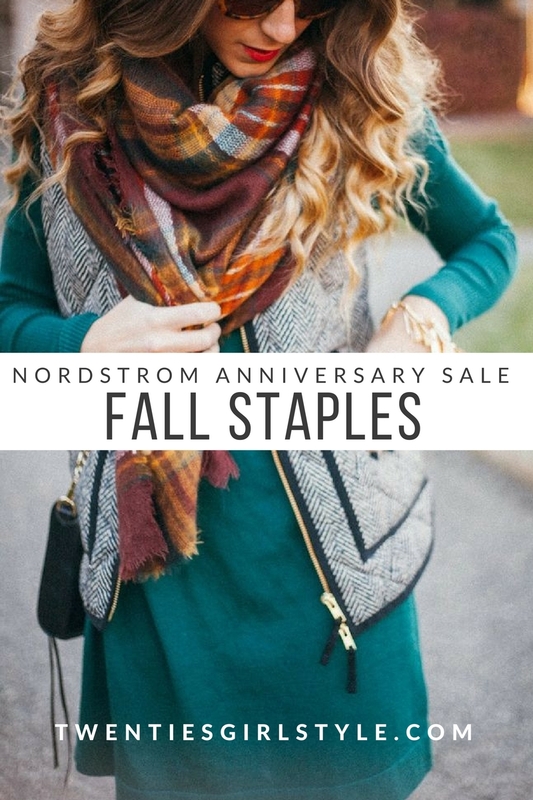 The Nordstrom Anniversary sale! Now through July 16th, you can shop the sale early and get Fall’s greatest new finds before any one else! All you need is to be a part of the Nordstrom Reward Program (credit or debit options available) and you are all set to shop til your heart is content! There are SO many great pieces at seriously great prices right now, that it is overwhelming! There are so many things I am dying to get my hands on! I am sharing a few of my favorites below, but stay tuned throughout the month of July for more of my picks (including the pieces I pick up!). What are you getting? ?